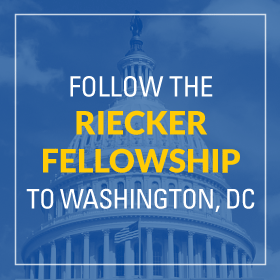 Interested in tackling the critical policy challenges facing our cities and nations? Apply today. 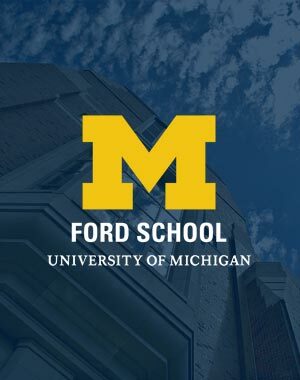 Whether pursuing an undergraduate or graduate degree, when you apply to the Ford School of Public Policy, you choose a path of leadership and service. You choose to be an active participant in public decisions—decisions that affect your neighborhood, your community, your country, and people around the globe. You choose to analyze problems, seek solutions, collaborate for change, and advocate for your community. Applications for our BA program are available for current U-M Ann Arbor students. Students should apply during their sophomore year and are admitted for their last two years of undergraduate study. The application deadline is February 1. Applicants will be notified about admissions decisions by the end of March. The Supplemental Studies in Public Policy program (SSPP) program is a 10-credit course sequence for students outside of the BA in Public Policy program. This program provides an opportunity to acquire a formal specialization in the fundamental and broadly applicable skills of policy analysis, as well as appreciation of key methods and skills necessary to analyze critical social problems. Applications for our MPP program are due on January 15. Admission is granted for the fall semester only. GRE general scores are required. Applicants will be notified about admissions decisions by mid to late March. Applications for our MPA program are due on January 15. Admission is granted for the fall semester only. The submission of GRE, GMAT or LSAT scores is optional; and submitted scores are not subject to any time limit. Applicants will be notified about admissions decisions by mid to late March. Note: Only applicants with a minimum of five years post-baccalaureate professional work experience will be considered for admission to this program. Applications for our STPP graduate certificate program are due October 15 and February 15. Any student with a bachelor's degree who has been admitted to one of the University's science (natural and social), engineering, or professional graduate degree programs or who is currently enrolled in one of these graduate programs is eligible to submit an application to the STPP graduate certificate program. Applications for our joint PhD in economics and public policy are due December 15. Admission is granted for the fall semester only. GRE general required. Applicants will be notified about admissions decisions by late February. 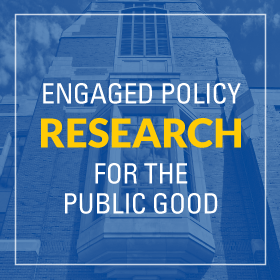 Applications for our joint PhD in political science and public policy are due December 15. Admission is granted for the fall semester only. GRE general required. Applicants will be notified about admissions decisions by late February. Applications for our joint PhD in sociology and public policy are due December 15. Admission is granted for the fall semester only. GRE general required. Applicants will be notified about admissions decisions by late February.